Social media has been set aflame in the first week of #GE2015, with videos and photos from rallies being shared, and people trying to figure out who to vote for. But while these videos and pictures were making their rounds, one surprising tweet stood out — it was the most retweeted, with 1,550 RTs. This emerged ahead of the awkward Roy Ngerng and Lee Hsien Loong encounter on Nomination day (628 RTs) or an SGAG meme of the inverted PAP posters (725 RTs). 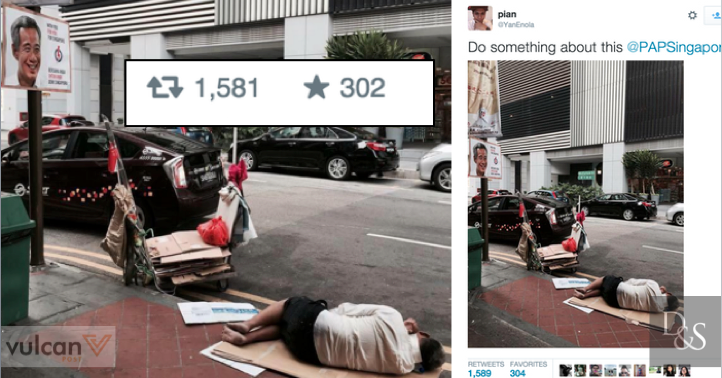 The simple picture of a homeless man sleeping on cardboard that he had collected, as a poster of PM Lee looks down at him, cuts deeper than any rally speech or unhappy rant. 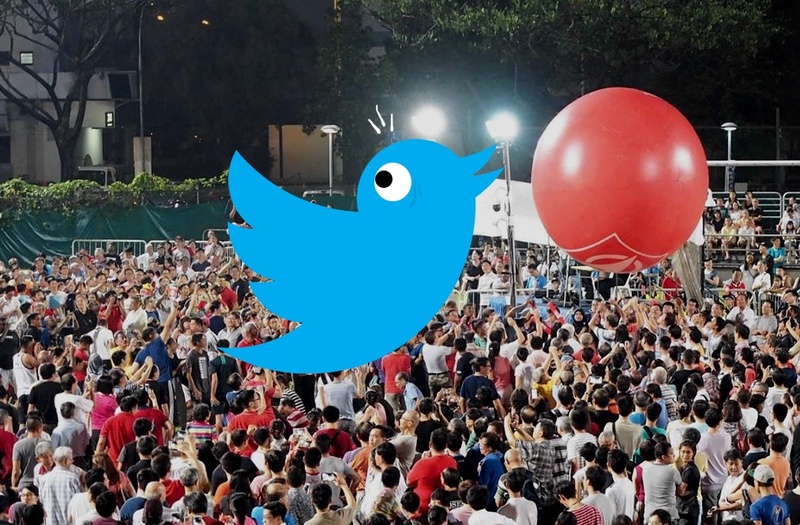 The tweet was directed at the current ruling party as a call to action, and the sentiment was obviously shared by many Singaporeans. When they said that a picture says a thousand words, this was probably one of them. As a micro-blogging site, Twitter has been busy at work during the first week of campaigning. Workers’ Party (WP) remains the most popular political party on Twitter, as they garnered over 1.6 times the volume of conversation compared to all other opposition parties combined. Their rallies were also 2.3 times more discussed than the People’s Action Party’s (PAP) rallies. The Singapore Democratic Party (SDP) is also gaining popularity, in part due to the return of Dr Chee Soon Juan. Their rallies generated only 15% less conversation than the PAP’s. Twitter also announced the top 10 most mentioned politicians and constituencies on their platform.